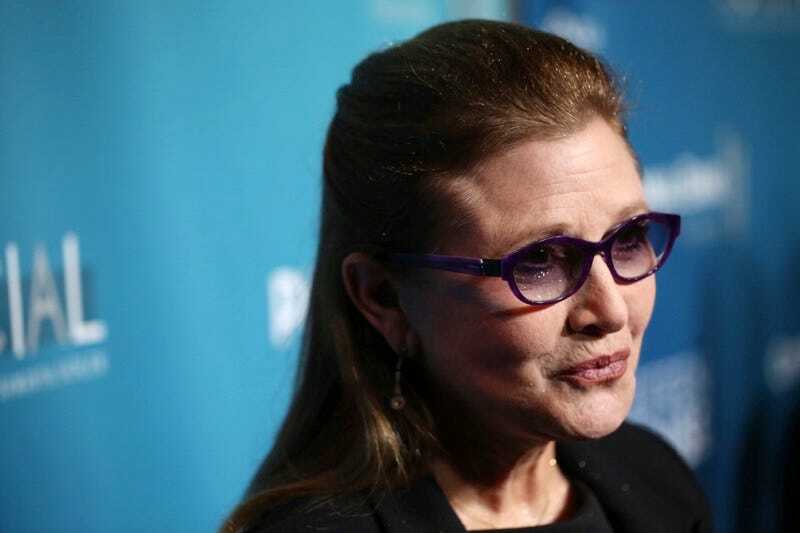 Following a heart attack last week, Carrie Fisher has passed away. She was 60. Fisher became an icon to many of us as Princess Leia in Star Wars, but she stayed one through her writing. Both her first autobiography, Wishful Drinking, and her more recent one, The Princess Diarist, are witty and almost painfully self-reflective. Fisher’s honesty about her mental health and her quick wit made her admirable in the most accessible way. She was incredibly open about her past, and that made her a friend rather than a train wreck. Fisher’s filmography is much more than just Star Wars, of course. Her extensive film credits include The Blues Brothers, Hannah and Her Sisters, When Harry Met Sally, and Drop Dead Fred. In Scream 3 and 30 Rock, Fisher proved game to make fun of her most famous role and recognizability. Beyond acting and writing under her own name, Fisher also did a number of uncredited polishes on scripts; Hook, Sister Act, Last Action Hero, Mr. and Mrs. Smith, and the Star Wars prequels all got a pass from Fisher. Since The Force Awakens, Fisher had been on what seemed like a campaign to remind the forgetful why we loved her. Every talk show appearance, every red carpet, and her new book were all perfect examples of how smart and sharp she was, how strong she was, and how right everyone who grew up wanting to be her was.